Apple has just announced iOS 12 software update, that brings tons of new features to iPhone, iPad and iPod touch. The new software update that is now available as developer beta and will be released in the fall for everyone is supported by almost all modern models of iOS devices. in fact it runs on all devices that supported iOS 11. Apple has published a comprehensive list of iOS devices that will be officially supported by the iOS 12 update and will receive the free software update in the fall. Not only that but developers who have these devices can now download the iOS 12 configuration profile on these devices and install iOS 12 beta on their devices. 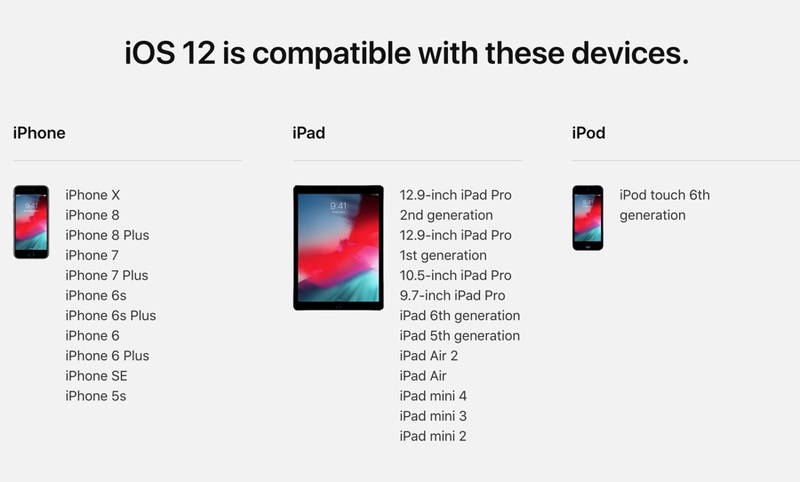 Here’s a complete list of iPhone, iPad and iPod touch models that support iOS 12 and will be getting the software update in the fall.